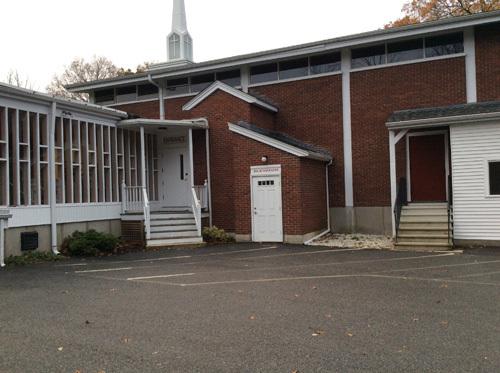 The First Baptist Church in Waltham is at the corner of Totten Pond Road and Lexington Street. A large parking lot is accessible from each street. When you arrive, you will see two buildings. The office is in the large white house on the corner. The church is the brick building next door. There is an enclosed corridor linking the two buildings. The most used entrance is from the parking lot, where stair and elevator access are available. Take Exit 27A, east toward Totten Pond Road, go all the way to the end of Totten Pond Road, turn left into the parking lot. Take Lexington Street to Totten Pond Road in Waltham. From Lexington, turn right from Lexington Street into the parking lot. From Newton, turn left at the lights onto Totten Pond Road, and then turn right at the second driveway entrance.